One of the last expanses of temperate wilderness in the world, the forest in Tasmania covers nearly 20 percent, or 1.4 million hectares, of the southern island state. The conservative federal government in 2014 controversially tried but failed to have UNESCO revoke World Heritage status for parts of the wilderness to allow more access to loggers. It was the first time a developed country had asked for a delisting. "Today we confirm that we accept the recommendation of the monitoring mission that special species timber harvesting should not be allowed anywhere in the World Heritage Area," Tasmania's Environment Minister Matthew Groom said in a statement. "It was important that the mission experts had the opportunity to hear all sides of the debate, and having done so, their clear advice to the World Heritage Committee is that there should no timber harvesting in the World Heritage Area including for specialty timbers." The report was compiled by experts from the International Union for the Conservation of Nature (IUCN) and the International Council on Monuments and Sites (ICOMOS) after they visited the site in November. Federal Environment Minister Greg Hunt said Sunday his government would respond to the report's recommendations ahead of the World Heritage Committee's July meeting on the state of the wilderness' conservation. 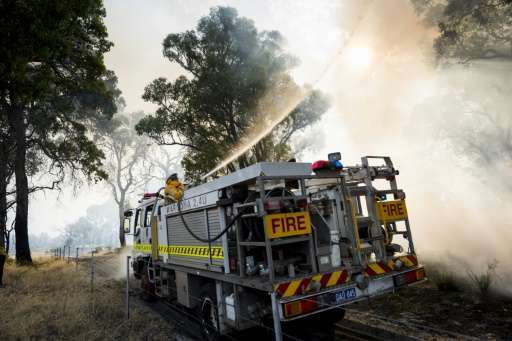 The announcement came days after Australia's parliamentary upper house said it would hold an inquiry into bushfires in the forest to investigate the impact of global warming on fire frequency, and on measures to protect the area. The blazes this summer reportedly burnt some two percent of the protected region.